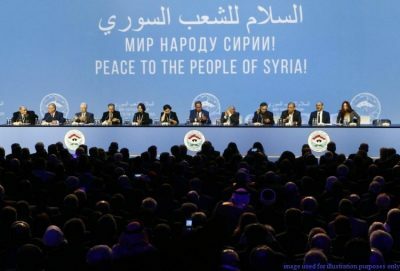 The 14thof February meeting in Sochi between the three Presidents (Russia, Turkey and Iran) is not expected to find solutions agreeable to all parties about the two main problem areas left in Syria: northeast Syria (Manbij to Qamishli/al-Hasaka), currently occupied by US forces, and Idlib city and its rural areas occupied by jihadist groups friendly to Turkey. There are fundamentally different points of view. At the top of the agenda, the gathering is expected to have further discussions on a possible US withdrawal in the coming weeks – the month of April seems plausible – as announced by officials in Washington. All parties are agreed, however, that US withdrawal is a priority and will be a relief to the Levant. Therefore, any step that help to reach this objective smoothly should be taken. Nevertheless, the main differences are triggered by the Russian desire and intention to conclude a “temporary deal” with Turkey over North-east Syria’s status after the US withdrawal. These differences are related to the price Syria should pay to see US forces out of the country. Sources among decision makers in Damascus said “Russia is trying to find an excuse for Turkey to move into north-east Syria, within a “buffer zone” of 12,000 sq km out of the 42,000 sq km that represent the zone east of the Euphrates under US occupation, reviving the 1998 Adana agreement between Ankara and Damascus”. “The Russian President is trying to open the road for Turkey to regain a direct relationship with Syria on a higher level. Russia believes the temporary presence of Turkey is acceptable as long as the unity of Syria is non-negotiable. But we in Damascus believe that if Turkey moves in, it will be difficult to dislodge its forces ever again”. On the other hand, the Syrian and the Iranian Presidents disagree with Putin’s strategy because they are convinced that Turkey will never abandon control over the agricultural and natural energy wealth and resources in Northeast Syria under the pretext of fighting their sworn enemies, the Kurdish militants. According to Syrian officials, Saudi Arabia, unlike Qatar, has abandoned its proxies in Syria. “Riyadh was aiming to return to Damascus and reopen its embassy very soon when the US Secretary of State Mike Pompeo put pressure on the Arabs to stop the process and prevent the return of Syria to the Arab League, throwing obstacles in the way of their end run towards Damascus. Nevertheless, Qatar is still active, supporting al-Qaeda in Idlib and the Turkish presence in north-east of Syria. Therefore, the US, Russia, Turkey and Qatar seem to agree on a Turkish presence in the Syrian “buffer zone” running from Manbij to Ayn al-Arab, Tal Abyad, al-Hasaka and Qamishli”. The destiny of the Kurds and their families unwilling to live under Turkish occupation is clearly no longer an interest of the USA. Also, Russia, Turkey and Qatar believe the only hope for the Kurds will be to move towards the Syrian government forces who will cross the Euphrates after the US withdrawal. The “revised Adana agreement” promoted by Moscow and Ankara will affect Syrian demography at the expense of the Kurds, who believed the US would provide them with an independent state, and never imagined a sudden US departure. Turkish ambitions in Syria are not limited to northeast Syria. Ankara is unwilling to depart from Idlib and is demanding that local groups sort out their differences, mainly between the al-Qaeda group of “Hurras al-Deen” and the jihadist group of Hay’at Tahrir al-Sham. Hay’at Tahrir al-Sham (HTS) is no longer related to the al-Qaeda group led by Ayman al-Zawaheri; its leader Abu Mohamad al-Joulani likes his independence. Joulani has been following the exact ideology and creed of ISIS and al-Qaeda during his time connected to these groups, but he had disagreements with some of their practices and lack of adaptation to the environment. In fact, Joulani doesn’t need to follow ISIS or al-Qaeda and nothing prevents him from being an independent Syrian jihadist with slightly different objectives and priorities. He has foreign fighters from all over the world under his command and is based in the Levant which every jihadist believes is the “promised land” for establishing an “Islamic Emirates”. Indeed, Joulani is the leader of “a jihadist group on the creed of Sunnah and Jama’a with the aim of imposing the Islamic Sharia through jihad and Da’wa,” as he describes the objective of his group in his communiqué. Joulani leads a group that follows “Jihad al-Tamqeen”, meaning “Jihad until it becomes strong”, evoking a patient opportunist religious struggle, which aims to avoid burning bridges, and to adapt to its environment and to new developments without changing ideology or altering its creed. It compromises temporarily on alliances and practices until the group becomes strong enough to let go of some pragmatic policies that help it survive, gather strength and recruit. Joulani’s pragmatic policy suits Turkey very well. Turkey is the most powerful Islamic country present in Idlib, strong enough to hold back Russia and the forces of Damascus from attacking his stronghold. Turkey is happy to deal with a “chameleon jihadist” as long as it serves both parties’ purposes (Turkey and HTS). However, Ankara wouldn’t mind delivering the skin of the Syrian al-Qaeda “Hurras el-Deen” for Russia to bomb and while Joulani to wears the skin of a jihadist obedient as a sheep. Joulani can help Turkey to resolve its awkward situation, if he shows pragmatism–Turkey has been embarrassed by its lack of commitment to the agreement signed with Russia in September last year, when it committed to end the al-Qaeda presence in Idlib and its surroundings. A metamorphosed Joulani is very convenient to both Ankara and Moscow. The situation in the Levant is still complicated and unsolved due to prevailing scepticism about impending full US withdrawal from the country, and the lack of trust among partners. Russia seems to be tolerating the Turkish presence temporarily. Iran, a close Turkish partner, would like to see the Syrian forces in control of the entire territory but also gives priority to seeing the “great Satan” leave permanently. Damascus and Tehran share the same fear of seeing Turkish troops hanging on in Syria for a very long time. These differences may prevent a successful Sochi meeting, where the destiny of Idlib and northeast Syria are still unknown and not agreed upon between allies until now. No perfect solution can be expected, since trust is clearly lacking- mainly over the future Turkish role and presence in Syria. Independently of this, the Kurds remain, regardless, the biggest losers.